Discussion in '2018 LitRPG Books' started by NoahWhitaker, Sep 13, 2018. Not enough sci-fi LitRPG these days. I see you figured out the signature. Great! Every post here is a mini-ad for your work! Reviews are starting out great for you too! 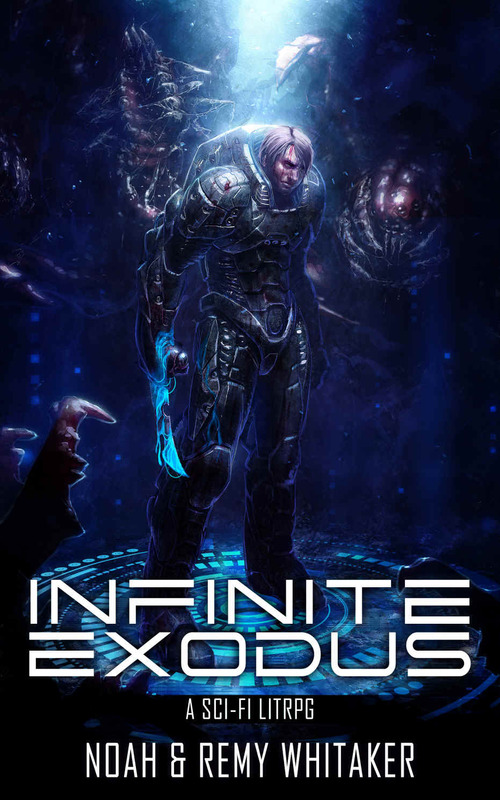 In a genre dominated by sword and sorcery, Infinite Exodus successfully incorporates some science-fiction elements into its storyline in an original way. This is the debut book for the authors, and its clear that this story is intended to be a multi-book series. The main characters have compelling conflicts develop, and while not all of them are resolved in this book, I'm definitely interested enough to tune in for another. This was a quick, enjoyable read. Thank you for allowing signature images. Definitely a nice perk. And yes! I'm very excited about that review! How's that next book coming along? It's going pretty good! Already about 1/4 of the way there. Sounds cool, and nice cover. 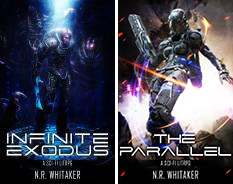 More sci-fi litRPG is definitely a good thing.